Some people close a deal and some people don't. It's that simple. Ranbir Kapoor's trying to prove he's the former in Shimit Amin's upcoming Rocket Singh: Salesman Of The Year. While we wish the young actor lots of luck, here's a look at some perfect peddlers, the most distinctive on-screen sellers of all. 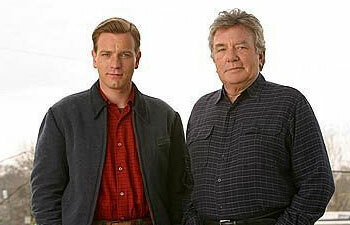 These guys, they'd sell you anything. Blake is born to sell. Baldwin's character comes early on in David Mamet's massively loaded ensemble drama about real estate agents, but his ruthlessness reverberates right upto the end credits. A shark who offers a Cadillac El Dorado to the top salesman, a set of steakknives to number two, Blake says number three just gets fired. 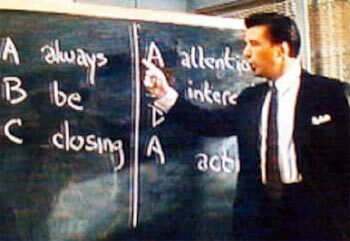 "ABC," he teaches, "Always Be Closing." 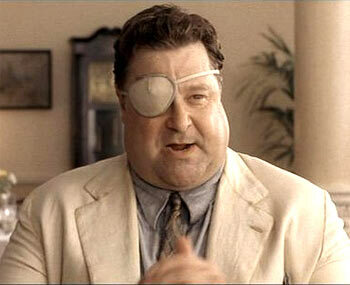 Big Dan Teague -- John Goodman in O Brother, Where Art Thou? As Joel and Ethan Coen remarkably set their take on Homer's Odyssey deep in Southern America, Polyphemus the cyclops was adapted into Teague, a one-eyed Bible salesman that first loots Ulysses and his friends and then turns out to be a member of the Ku Klux Klan. Memorable without question, this one. One of the first major criteria for a good salesperson, for a closer, is the ability to skirt deftly away from the truth. And very few are as spectacular in the art of lying as Edward Bloom, the hero of Tim Burton's heartwarming film. Finney plays his present day while McGregor is the youthful flashback, and this tall tale about tall tales shows him as the sunniest travelling salesman ever. 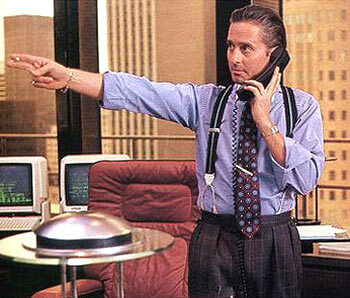 Capitalism has never had a more eloquent screen supporter than Douglas in Oliver Stone's epochal Wall Street. Now really, how do you beat that? He started off with a mission statement. Wracked by guilt, the uncharacteristically conscientous sports agent in Cameron Crowe's biggest hit wrote out all that's wrong with their profession, promptly got fired, and set about trying to build a new career, grabbing hold of one client and looking onwards and upwards. Maguire, constantly harangued by life, is inspiringly upbeat throughout, sometimes just finding solace in a Tom Petty song on the radio. 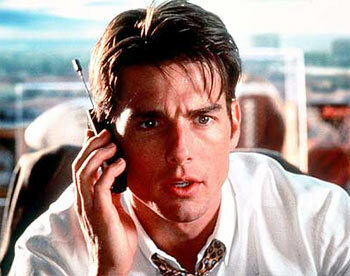 And one thing's for sure: he shows you the money. 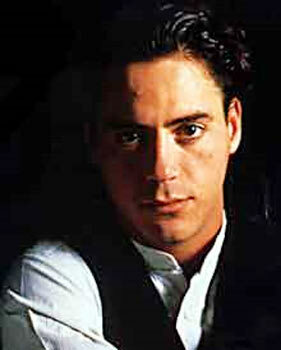 This Norman Jewison romcom sees Marisa Tomei's Faith blindly obsessed with the name Damon Bradley, and while Downey Jr -- who plays shoe-salesman Peter Wright -- is never once seen in action peddling footwear, one has to assume he'd be great at it considering the way he wheedles his way into Faith's heart. Being an imposter and convincing a girl of love all in the same breath? Good salesmanship all around. 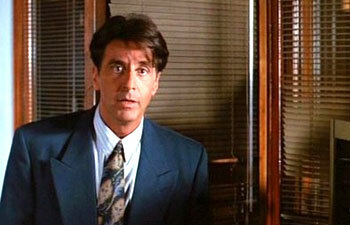 There are craftsmen and there are artists, and Pacino's Ricky Roma, the top 'closer' in the office is a true maestro. Plugging eloquently, nakedly away at Jonathan Pryce's insecure James Lingk, he brings up everything but real estate until the man is eating out of his palm. Using straw man arguments with a sense of sardonic world-weariness, Roma wins over a listener by virtue of the appearance of sincerity. He yells "Pygmies!" whenever he's upset, and that's just the first of Cage's characters troubles in this Ridley Scott film, his Walker handicapped by a nervous tic, panic attacks, OCD and agoraphobia, among others. Still, this con-man happens to eke out quite a living selling (massively overpriced) water filter systems that don't quite work. Unconventional, yes, but charming nonetheless. Just because you're iconic doesn't mean you have to be any good. 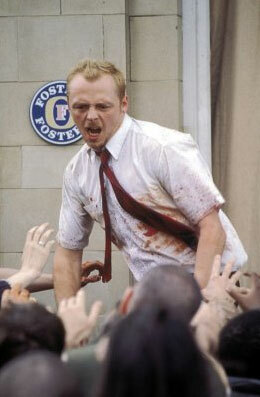 Pegg's Shaun is awful at handling customers and selling them appliances in Edgar Wright's cult 2004 zombie comedy, but bein rubbish can be a bit of an art. Also, sitting at the local watering hole every bloody evening counts for something, innit? Well, turns out it really does. When push comes to shove, Shaun staves off a Zombie outbreak in that very bar, and wins his girl back. Ka-ching. 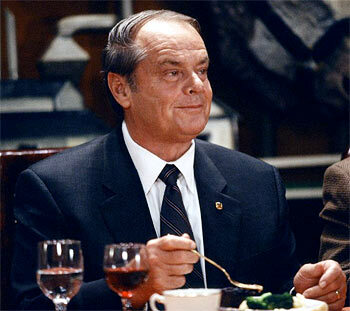 In this Alexander Payne film about an insurance actuary, Nicholson plays Warren Schmidt, a man struggling to come to grips with his retirement. Spending his entire life on the job, he seems to have accrued nothing. The moments involving his miserably synthetic retirement dinner and new successor are truly poignant.